Air purifiers can assist in enhancing the quality of the air in your home, office, or any indoor space. Poor air quality can put you at risk for allergies, asthma, and other respiratory issues. Though many air purifiers work differently, this device intends to remove contaminants from the air in some enclosed space. Air purifier manufacturers tout benefits such as removing smoke particles and volatile organic compounds (also known as VOCs), which can be detrimental to your health, from the air. These devices are also said to remove common allergens such as dust, pollen, pet dander, and mold spores. However, choosing which device will fit your needs can be difficult. The reviews included below can assist in this endeavor, and tell you which is the best air purifier for smoke. This air purifier boasts a three in one filter, which consists of a pre-filter, an activated carbon filter, a HEPA filter, in addition to a UV-C light. The pre-filter captures the largest particles. The activated carbon filter gets rid of any noxious gases present in the space, like formaldehyde and benzene. The HEPA filter captures dust, smoke, and other allergen particles that were not captured by the pre-filter. And finally, the UV-C light works to abolish microorganisms like germs, viruses, and bacteria. This model also features an intuitive control panel with three speeds and a timer. This purifier works in spaces up to one hundred square feet. If you are looking for a super quiet air purifier, this one may be for you. It provided a delightful white noise effect when on the normal modes, but is nearly undetectable when any other noise is present. There is also a night mode, which provides an even quieter function. The design of this device is also aesthetically pleasing, with crisp curves and airy white color. The control panel is easily accessible and illuminated for ease of use. The set up for this unit is also very easy, the front panel is held in place by magnets. All that is necessary to set up the device is to open this panel and remove the bag around the filter, then replace the filter in the machine, plug it in, and you are ready to go. 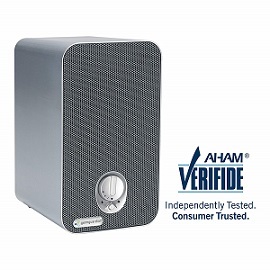 The GermGuardian air purifier is AHAM (the Association of Home Appliance Manufacturers) verified, Energy Star certified, and Carb Compliant. 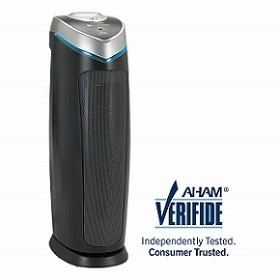 AHAM verification means that this unit was tested independently for the ability to remove tobacco smoke, pollen, and dust. Energy Star certification means that your electricity bill will not dramatically increase when using this unit. Being Carb Compliant means that this unit adheres to the stringent regulations of the California Air Resources Board. This device is recommended for rooms up to 167 square feet and utilizes a HEPA filter, a charcoal filter, and UV-C light technology to remove up to 99% of questionable particles in the air, down to .3 microns. Additionally, the charcoal filter removes unwanted odors from the air. The UV light can be turned on or off depending on your preference. This air purifier will provide relief for those suffering from allergies or asthma. Additionally, it will work properly to remove odors from the area. Many consumers have complained about the price of replacement filters, which is high in comparison to other similar filters. However, if this doesn’t bother you, then this is an ideal air purifier for a reasonable price to rid your home of poor air quality due to smoke, pets, or other odors. 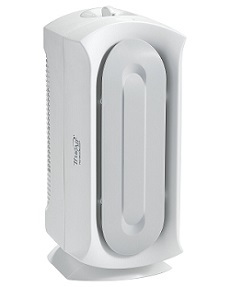 This air purifier is reasonably priced and works for larger sized rooms, up to 160 square feet. The True Air Allergen Reducer Air Purifier features a permanent HEPA filter, eliminating the need for expensive replacement filters. This filter can be vacuumed clean, resulting in minimal upkeep. A fan with three speeds ensures that the device will always be as quiet as you need. High speed will clean your air the fastest, medium speed is more appropriate for all day use, and low speed is great for when an extra quiet atmosphere is necessary. 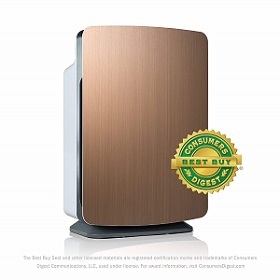 This air purifier is particularly great for those suffering from allergies. You will be able to see a visible difference in the level of dust in the air once this device is in use. However, it should be noted that this particular air purifier will not filter smoke or bacteria as it does only capture items 3 microns and larger. 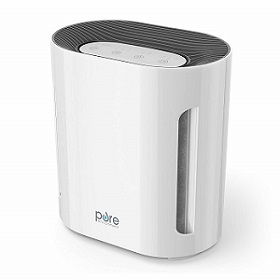 This air purifier does do what it promises and will be very useful for those with allergies or excessive dust in the area. Some consumers have inserted a charcoal filter in addition to the permanent HEPA filter and have seen positive results from that. Nevertheless, it depends on what your needs are. To remove basic dust and allergens from the air, this unit works well. 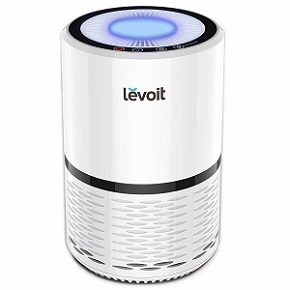 The Levoit Air Purifier features three-stage filtration, three fan speeds, and a nightlight function. The filtration system consists of a pre-filter, true HEPA filter, and an activated carbon filter that neutralizes air dust reduces odors and smoke, captures pet dander, and traps allergens. The filter will trap out particles .3 microns or larger, making this the best air purifier for the smoke of any type. Three fan speeds provide options for different conditions low for extra quiet, medium for everyday use, and high when the air needs cleaned thoroughly. The night light can be turned on or off and has two brightness settings for ultimate comfort when using the air purifier through the night. 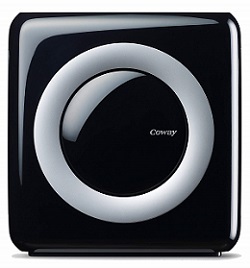 This is a smaller air purifier, only recommended for use in an eighty-six square foot space. It works well, but can only work for a small space effectively. However, this will work well to remove allergens, pet dander, and smoke from the air in your space. It works particularly well with pet smells and the removal of allergens. After a few days of use, you will notice a true difference in the quality of the air in your space. This is the perfect air purifier for those who suffer from allergies and wish to enhance the quality of air in a small space. This stylish air purifier provides a unique look for clean air in your home. The unit can be mounted on the wall or stand by itself wherever you prefer. The Rabbit Air is also available in an Artists Series featuring the art of Vincent Van Gogh, Claude Monet, and Katsushika Hokusai in addition to original designs and Peanuts and Hello Kitty special edition units. This unit also covers up to 700 square feet and boasts a BioGS HEPA filter. The BioGS HEPA filter goes above most HEPA filters because it traps allergens and particles .3 microns or larger at 99.97% efficiency. It also reduces the buildup of common allergens trapped on the filter and reduces the growth of bacteria and viruses on the filter prolonging the efficiency of the filter. In addition, there is a pre-filter, medium filter, customized filter, activated carbon filter, and a negative ion generator with an on/off control. For the customized filter you can choose from the Germ Defense Filter, the Pet Allergy Filter, the Toxin Absorber Filter, or the Odor Removed Filter. The Germ Defense Filter traps and reduces airborne bacteria and mold and other particles that carry viruses. The Pet Allergy Filter traps and reduces pet dander and allergens. The Toxin Absorber Filter traps and reduces VOCs (volatile organic compounds) and other chemicals. And finally, the Odor Remove Filter traps and reduces odors from variety s of sources including pets, cigarettes, cooking, and mildew. This is the best air purifier for cigarette smoke. This air purifier neutralizes dust, allergens, and bacteria in the air by using a three-stage filtration process and an air quality monitor. The three-stage filtration process includes a fine preliminary filter, a True HEPA filter, and an activated carbon filter. The fine preliminary filter works to filter out bacteria, pet dander, mold and fungi from the air. The True HEPA filter removes dust, mites, and pollen. The activated carbon filter removes lingering odors from cigarette smoke and cooking. This device is also Energy Star Certified, so it will not have a negative impact on your power use. This unit also features an automatic sensor that will adjust the speed of the fan on the air purifier based on the air quality at hand. This air purifier will filter dust, allergens, bacteria, particles as small as .3 microns and air pollution in areas up to 322 square feet. This unit effectively removes dust and the auto mode ensures that your air quality will not suffer due to unforeseen issues. This device is quiet, even when on the highest mode it will not disrupt your everyday activities. The set-up is easy for this air purifier, and once it is up and running, regular use of this unit will remove unwanted smells and allergens from your space. This desktop air purifier features a HEPA filter, a charcoal filter, a UV Sanitizer, and a three-speed design. The HEPA filter will capture pollen, pet dander, dust mites, and other allergy triggers. Airborne germs including staph, influenza, and rhinovirus will be sanitized with the UV-C Light. The pre-filter will capture large dust particles and pet hair, while the activated charcoal filter will trap household odors and harmful VOCs. This device is meant for use in a small area and works best in that climate. It is definitely an effective machine and does what it is intended to do, removing dust and allergens from the air. If you are concerned about the UV light, it can be turned off and on as you desire. This air purifier also works well to remove smells in small spaces. The compact design of this device is also beneficial if you do live in a smaller space or if you intend to use this air purifier in an office. This device covers a whopping 1100 square feet, covering a small apartment, or an open floor plan living area. This small unit will completely refresh the air in a space up to 1100 square feet every thirty minutes. This air purifier is also energy efficient. The Alen Breathe Smart Air Purifier has four filter options Pure, Silver, Fresh Plus, and Odor Cell. The Pure filter will take care of allergies and dust while the Silver filter removes allergies, dust, mold, and bacteria from the air you breathe. The Fresh Plus filter covers the most options filtering out allergies, dust, VOCs, household chemicals, smoke, and cooking odors. The Odor Cell filter removes allergies and dust as well as pet and diaper odor. This air purifier also has a pink noise frequency to help you sleep better, in addition to being remarkably quiet even when running on the highest of the four available settings. This air purifier also features intuitive intelligence through auto mode. This mode allows laser sensors to self-adjust the unit to target particles as small as .3 microns. This device is especially helpful for those with pets because it takes care of dander as well as odors. After using this item for a few days, you will see a noticeable difference in the quality of air in the space that this air purifier reaches. This air purifier is specifically designed for apartments, living rooms, or middle-sized spaces. The sleek square design covers up to 361 square feet and also sports a filter change indicator, multiple modes for airflow, and a timer. This high-end purifier has a four-stage filtration system consisting of a pre-filter, odor filter, a true HEPA filter, and bipolar ionizer. The bipolar ionizer works by generating an electrochemical reaction that reduces the harmful particles present in the air. This feature does have an on/off switch if you choose not to use this function. This device also has an auto mode, which is continually operating and will change the fan speed to reduce particles as needed. This device is very quiet. The level one speed is barely perceptible white noise. Level two is still modest but operates at a minimal hum. If you turn it up to level three you can hear the fan but it is still very quiet it is even quieter than a kitchen fan. This air purifier will also remove unwanted odors from the air effectively. This device will help with allergies as well as it successfully removes allergens from the air. Overall, this air purifier is good to use in a small space to remove allergens, animal dander, and any unwanted odors from your air. 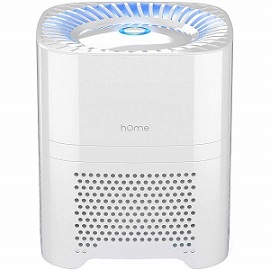 The hOmeLabs Color 3 in 1 Compact Ionic Air Purifier is compact and conveniently sized to use in a variety of spaces measuring up to fifty square feet. This device uses a three-stage process to clean the air. It uses a pre-filter, a HEPA filter, and a carbon filter. The pre-filter traps larger particles, prolonging the life of the HEPA filter. The HEPA filter will remove the small particles that the pre-filter was not able to catch. The carbon filter eliminates unwanted smells and impurities from the air. The unit includes an indicator light to alert you when the filter needs to be changed. The setup of this air purifier is very easy and this product will work well to filter the air removing allergens and odors. If you suffer from allergies, you will see a change in just a few days of use. Additionally, it is very quiet while in use. The sound has been equated to a pleasant white noise, it can be heard, but only minimally and not obtrusively. One downfall of this particular air purifier is that it has a blue light when the unit is turned on. This may not bother you, specifically if it is not kept where you sleep, but it is something to consider when looking for the right device. Though this air purifier is quite small, it still makes a huge difference. One of the main features you should consider when purchasing an air purifier is the size. To choose the best size for your needs, you must consider the size of the room you will be using it in, more specifically, the square footage. To determine the square footage of a particular space, measure the length and the width and then multiply those measurements together. The specifications of each air purifier should indicate how big of a space they would work in. Additionally, you should consider the air change per hour (ACH) rate. This number shows how often all of the air in a can be filtered. Generally, an air purifier should have an ACH rate of four or higher. With any filtration device, maintenance is of the utmost importance. You have to remember to clean and change the filters to ensure that you are continuously receiving the best, purified air. 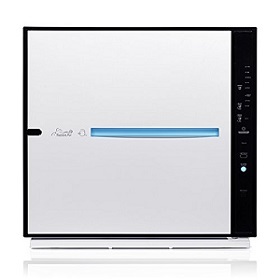 Many air purifiers will notify you when they need to be cleaned via a light on the device. This notification is important because while the manufacturer will give you a range when filters should be changed, environmental conditions can impact the life of the filters drastically. If you are someone who will monitor the filter and other maintenance as the device ages, this feature may not be necessary, but it can be very helpful for the rest of us. The ionizer feature of an air purifier helps clean the air because of the electrical effects of positive and negative charges. Positive and negative charges are attracted to each other. With an ionizer, electricity is used to create electrons. These electrons then attach to air molecules and form negatively charged ions. These ions are then released into space and connect to positively charged smoke and other allergens in the air. The filter of the air purifier can trap these larger particles more efficiently. Ionizers also can produce ozone, which can be harmful in high amounts. It is important to look at the information provided with your air purifier to ensure that the product does not emit ozone at a rate of more than 50 ppb or parts per billion. This is the safest level of ozone, which will have no health impacts. The purpose of an air purifier is to make your indoor space more livable, so a noisy machine will only detract from that goal. However, this concern will also depend upon where the air purifier will be located. The noise may not bother you as much in the office as it would in your bedroom. To determine how loud an air purifier will be before you purchase it, look at the decibel level on the packaging. This is often shown as dB level. Quieter devices are generally in the range of 15 – 36 dB. A device matching the sound of a refrigerator or lawn mower is between 50 and 90 dB. Some noises are considered too loud for people to live with consistently; generally, this is anything above 60 dB. Installing an air purifier is quite easy. Generally, all you need to do is remove the packaging around filters or the device and plug the unit in. The most important part of air purifier installation is placement. Your air purifier can be rendered useless if placed incorrectly in your home. Generally, you want to put the unit in the area where you spend the bulk of your time, additionally take into consideration any areas of concern in your homes such as a smoker or pet. The device should be placed somewhere where the front and sides are free of obstructions so that air can flow freely in and out of the unit. You also do not want to place the unit to high in the room or under a shelf, which will also inhibit the flow of air. The maintenance needs of your air purifier depend upon the specific type of unit you have. It is important to read the manufacturer’s instructions and specifications prior to use. Many air purifiers use disposable filters, which must be replaced regularly. Those that use permanent filters must be cleaned often. Depending on the filter, these can be cleaned by vacuuming or washing in warm soapy water. If washing the filter in water, be sure to rinse it thoroughly to remove any remnants of soap in the filter. After the filter is rinsed, be sure that the filter is able to dry completely and carefully before replacing it in the air purifier. A wet filter can not only inhibit the efficacy of the air purifier, but it could create poorer air quality by releasing mold or mildew spores into your environment. CADR stands for Clean Air Delivery Rate. This value indicates the volume of filtered air delivered from an air purifier. This measurement was established by the Association of Home Appliance Manufacturers (or AHAM) and has been in use since the 1980s. The faster the air purifier filters the air, the higher the CADR number. Air Changes per Hour, also known as ACH, tells us how often all of the air in a space is completely changed per hour. An ACH rating of four means that every fifteen minutes, or four times each hour, all of the air in the room or space is filtered. To achieve healthy indoor air quality an ACH of five or six is recommended. However, for those with allergies or asthma, it may be best to err on the side of caution and go with an ACH rating around six or eight. How do I know if I have poor air quality? A good indicator of your indoor air quality is how you feel when you are at home. If the air is smelly or stuffy, you may have an air quality problem. Additionally, if you make any changes around the house, such as remodeling or refurbishing, or if you move and you develop new health problems, air quality may be to blame. Further, obvious sources of concern are smokers or pets. If you see condensation inside or have mildew or mold growth around your home, the air quality is likely concerning. A micron is a measurement used to convey the minute size of airborne particles. Micron is short for micrometer and is one-millionth of a meter. Airborne particles are often invisible to the naked eye, even though they can be harmful. Dust mite allergens, for example, can be as small as .1 to .3 microns. As a comparison, a single strand of human hair typically measures from 30 to 120 microns. 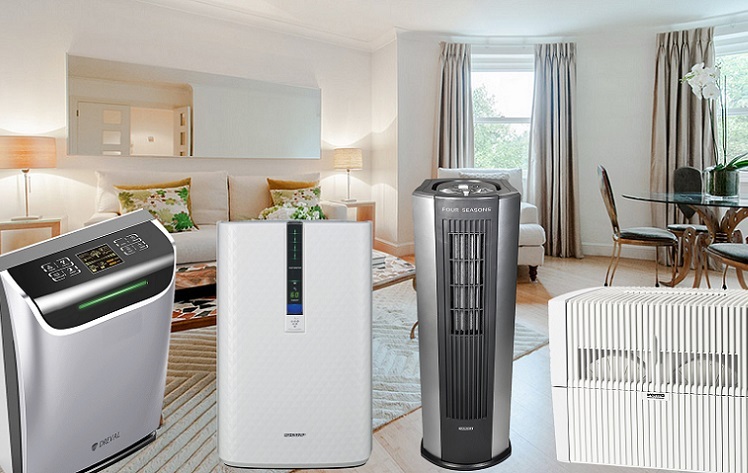 As you can see, there are many air purifiers to choose from at a variety of price points with similar features. It is important to keep in mind your budget and your specific reasons for wanting an air purifier. For a large budget and a large space, the Rabbit Air Purifier may be the best option for you. If you have a smaller space and want to spend less money, the Pure Enrichment Pure Zone 3-in-1 True HEPA Air Purifier may be a better choice. If a quiet unit is what is most important, the Germ Guardian might be your best bet. 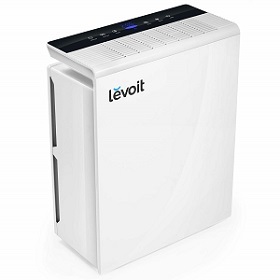 Product four, the LEVOIT Air Purifier with True HEPA filter is the best air purifier for smoke under 100 dollars.